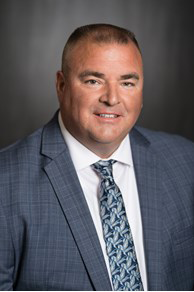 The Davey Tree Expert Co. promoted Jeff Crites to operations manager of the residential/commercial (R/C) Midwest and Eastern Great Lakes region. Crites started with Davey in 1986 as a lawn care technician in the Akron, Ohio, R/C office. He earned promotions to tree care foreman, sales arborist, assistant district manager, district manager of Davey’s Canton, Ohio, R/C office and, most recently, market manager of the Great Lakes East R/C operating group. Crites is an International Society of Arboriculture Certified Arborist. He is a graduate of the Davey Institute of Tree Sciences, Davey’s flagship training program, and served as a member of Davey’s President’s Council. Control Solutions added John Haguewood to the Quali-Pro team. Haguewood will support the Quali-Pro brand in the newly realigned Gulf Coast territory, which includes Alabama, Georgia, Kentucky, Louisiana, Mississippi and Tennessee. Haguewood comes to Quali-Pro with a background working nationally with distributors, golf course superintendents and lawn care operators. Most recently, Haguewood was the technical manager with Macro-Sorb Technologies. Prior to that position, Haguewood was a turfgrass research specialist for the University of Missouri, where he received his Masters of Science in plant, insect and microbial sciences (Turf-Weed Science). Control Solutions also added Todd Deitz to the Quali-Pro team. Deitz will support the Quali-Pro brand in the newly realigned Midwest territory, which includes Indiana, Illinois, Michigan and Wisconsin. Deitz comes to Quali-Pro with a strong product background with his experience as a Class A Golf Course Superintendent. Most recently, Todd was the superintendent at Northmoor Country Club. Todd grew up working at his family’s landscape and nursery business through college. Deitz attended college and received his bachelor’s in plant and soil science at Southern Illinois University and an associate’s in horticulture from Danville Area Community College. LandCare promoted Tony Serna to branch manager in its Palm Springs, Calif., location. He joined LandCare in January of 2017 as an account manager. Serna has deep roots in the horticultural side of the green industry, including working at his father’s nursery and earning a degree in environmental horticulture from College of the Desert. Prior to joining LandCare, he served as the head horticulturalist at The Annenberg Foundation Trust in Rancho Mirage, Calif., for five years, where he oversaw the care of more than 70,000 plants of differing varieties. He is currently working on an associate’s degree in business from College of the Desert. The Aspire Software Co. added four new team members: Charlotte Watson as database administrator; Sharon Dujon as account manager; Todd Weedman as client service software specialist; and Peggy Hughes as accounting specialist. Prior to joining Aspire, Watson worked at a global healthcare organization. She joins the software development team as database administrator, assuring that Aspire clients experience consistent application performance. Dujon is an industry veteran with expertise in management and systems. Dujon will be joining the Aspire deployment team as an account manager, helping Aspire clients install the systems and make it work. Weedman joins the AspireCare customer support team as a client service software specialist, providing training and technical support. Hughes brings more than 30 years of contractor accounting experience to her new role as accounting specialist on the Aspire deployment team. Her expertise adds more depth supporting Aspire clients in managing their accounting systems. Express Blower hired Mike Dyer as its general manager to oversee day-to-day operations and shape its manufacturing, purchasing and engineering systems to meet future demand. This is a newly created position that consolidates the existing project management and product development areas among others. He began his new duties May 21. Dyer has more than 25 years of product engineering and project management experience in equipment and critical component fields. Mike Dyer works out of Express Blower’s Fairfield, Ohio, location but is also responsible for its second manufacturing facility in Eugene, Ore., where sales, marketing and aftermarket parts and service are also based. He has a bachelor’s in mechanical engineering from the University of Cincinnati. The Daily Transcript has selected Bryal Hilton––a Design & Development Planner with Heaviland Landscape Management––for its annual Top 40 Under 40. The editors considered “the emerging talent populating the local business community and public sector to find 40 [people] whose skills, integrity and leadership embody the best the region has to offer.” The San Diego publication selected Hilton because she has proven to be a talented young professional who is helping to shape San Diego’s future. Hilton has been with Heaviland for almost five years. During that time, she has elevated the company’s design capabilities with her attractive landscape palettes that are beautifying San Diego’s commercial properties. Her work has won top landscaping honors awarded by the California Landscape Contractors Association, including a Landscape Renovation Achievement Award in 2017. Hilton has also established a strong market presence through her participation in numerous San Diego industry associations, including IREM, BOMA and CREW. Her hard work and dedication were acknowledged when she was recognized as IREM’s Key Award Winner in 2015 and CREW’s Outstanding Committee Member in 2016. Doug Finch joined K-Rain Manufacturing as regional sales manager. Finch brings 25 years of green industry experience to lead the sales organization in the Southwest. In this new role, Finch will be actively promoting the use of K-Rain intelligent flow technology irrigation products in his home state of Colorado, as well as in Utah and New Mexico. The LaurelRock Co. promoted Peter Kehoe to vice president of operations. In his new role, Kehoe will oversee all internal divisions, including design/build for production. This August will mark Peter’s six-year anniversary with LaurelRock. In addition to his role at LaurelRock, Kehoe has been an active volunteer with the National Association of Landscape Professionals. Photo: Davey Tree Expert Co.